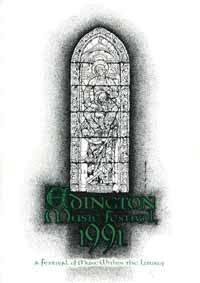 Welcome to this year’s Festival of Church music at Edington. I hope you enjoy the services during the week and the quite unique atmosphere which the Festival engenders. After the last two years when the themes were based on literary works, this year’s theme has a more biblical aspect in that it is centred around the idea of prophecy, and in particular the interaction of the Old Testament prophets with the New Testament gospellers. The services on Monday and the final Sunday act respectively as an introduction to, and a summing-up of the main body of themes during the rest of the week. Tuesday’s theme deals with the prophecy of the Incarnation, working through from the prophecies of Isaiah to John the Baptist and finally to the birth of Christ itself. Wednesday’s services take as their theme the prophecy of the Passion whilst Thursday’s theme is based on the central Christian idea of hope. The Sequence of Readings and Music on this day attempts to portray the progression from the anger and depression of Jeremiah’s prophecy to the realisation of God’s great mercy. The music for this service is almost exclusively Germanic, drawing on a wide range of differing styles and periods. The three Brahms motets which form the musical framework to the service are from the ‘Fest- und Gedenksprüche’. The mediaeval period is represented by the magnificent polymath Abbess Hildegard of Bingen and the early seventeenth century by Johann Schein. Friday’s theme is the prophecy of the Kingdom whilst Saturday’s services portray the inhabitants of the Kingdom, the Saints. On the last two occasions I have written this introduction it has perhaps too closely resembled a Crockford’s Preface. I do not propose to write another. The General Synod may remain safely beyond the bounds of usefulness and certain comments from church leaders may show an increasing tendency to the banal, but these can never destroy the fact that it is one’s individual response to the Christian message that is of the most lasting importance. The rise of fundamentalism and the perceived importance of a uniform doctrine in many religions, however strong these become, can never alter this central fact. The strength of the Festival here is the way in which congregation and musicians alike respond to the ideas and themes, often unorthodox, which are presented in both the liturgical and musical aspects of the services, and thus embark on a spiritual journey. Great music and literature are often uncomfortable in their searching of man’s deepest emotions, but for that reason they are endlessly relevant, and never more so than in that quest for the divine. 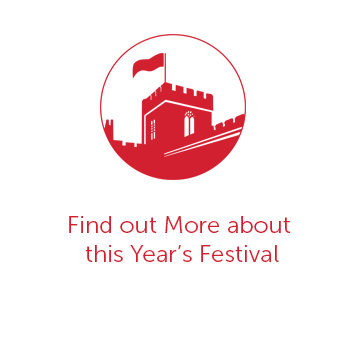 Many people have helped in the preparation for this year’s Festival, and my thanks go to Janet McMullin, Patrick Elwood, John Barnard, Paul Proudman, Revd. Alvyn Pettersen, Dr. Susan Rankin and to many others. This will be my last year as Festival Director. 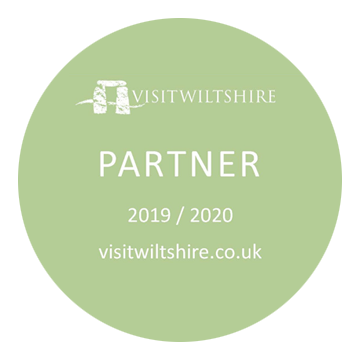 I have immensely enjoyed all the years I have been associated with Edington, and I would like to take this opportunity to thank all the musicians who have performed here during the last five years, especially Tim Kermode, Peter McCrystal, Jeremy Summerly and Peter Wright, and also the people of Edington and all the many visitors to the Festival who have made my task so pleasurable and worthwhile.